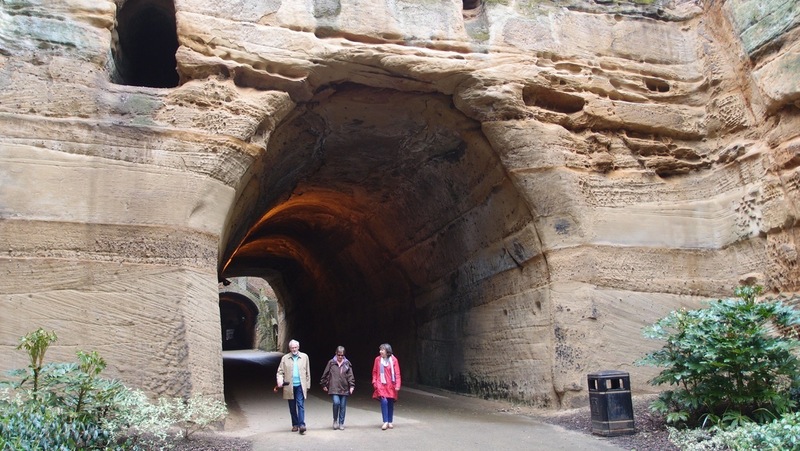 Mike Garrett, one of our members, led a group of 10 members on 11th May to visit some hidden aspects of historical Nottingham. We travelled by Robin Hood line from Worksop to Nottingham Station, then walked to the Broadmarsh shopping centre where Mike outlined the background to Nottingham cliff. We then went (upstairs!) to enter the Caves complex within the cliff, and witnessed the spaces and areas where domestic and economic activity had taken place over the centuries. We then walked up to the Castle, via a coffee shop, with a stop outside the elegant Newdigate House, now the World Service restaurant, where the defeated French General Tallart had been detained in luxury for several years after losing the Battle of Blenheim. After a brief look round some Museum exhibits, and a sandwich in the courtyard with fine views over the City, we took a guided walk down Mortimer's Hole, and encountered the gruesdome history of the killers of King Edward II. After a pint or two at Ye Olde Trip to Jerusalem a few of us walked with Mike up to The Park area where Mike found for us the Duke of Newcastle's access tunnel - wide and tall enough for a coach and horses (see below) and a real hidden treasure. We then returned to Worksop in good time on the train. A big thank you to Mike (and Megan) for organising this and proving such an excellent and knowledgeable guide. A second similar trip to the same places will be organised if there is sufficient interest, while Mike is now planning his next blue badge tour for us, probably to hidden Hull. A set of the best photographs of the day can be found in our SCRAPBOOK section or by clicking HERE.